Amazing Progress Illinois Style: Welcome to the Obama Expressway! Yesterday, in response to alleged “progress” on Obamacare I penned Mish’s Rule of Progress. Today, I am pleased to announce even more amazing budget progress in the state of Illinois. First, let’s recap progress at the national level. On Tuesday, President Trump called all the Republican Senators to a meeting to resolve the Obamacare bill in the Senate. Ahead of the meeting, four Republican Senators were against the bill. At most, 2 Senators can vote against the bill or it will fail. Following the meeting, seven Republican Senators were against the bill. As amazing as that progress sounds, Illinois can beat it by a mile. Illinois has been without a budget for two years and its bonds, already the lowest in the nation, face a downgrade to junk. On June 15, Illinois Governor Bruce Rauner called a special 10-Day legislative session to finalize a budget. We are now in the eighth day of the special session. The Special Sessions Cost Illinois Taxpayers $50,000 a Day. The special sessions have lasted from 10 to 23 minutes at the longest. Progress was announced yesterday: My sources tell me that by an 84-0 vote, part of I-55 will be renamed the Obama Expressway. Today, the Wall Street Journal reports Illinois Governor to Extend Session if Lawmakers Miss June 30 Budget Deadline. 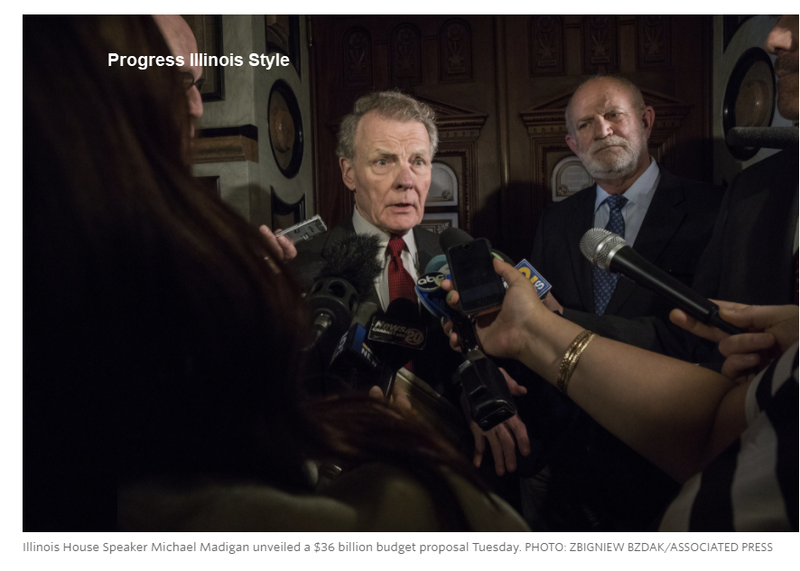 On Tuesday Mr. Madigan unveiled a $36 billion budget proposal but didn’t spell out how much taxes would have to increase to get the state’s fiscal house in order. If a budget isn’t passed by Friday, credit-rating firms have warned they will downgrade the state’s rating to junk. An even more amazing part of this reconciliation process is that Rauner has already caved in. On June 21, I commented Governor Rauner Screws Illinois. In exchange for virtually nothing, the Governor agreed to a massive tax hike. The alleged property tax freeze is only 4 years and it excludes Chicago, home rule districts, cities in trouble, etc. One can drive a truck trough the loopholes. Yet, that was not enough for Madigan or the special session would not still be in session. This brings us to Mish’s Rule of Nothing proposed on June 22. In any given political situation, the best outcome one can reasonably expect generally happens when politicians do nothing. Implied corollary#1: When politicians attempt to fix any problem, they are highly likely to make matters worse. Corollary #2: Politicians almost never do nothing. It’s why we have a messed up healthcare system, education system, public pension system, etc..
For whatever perverse reason, Rauner is willing to break every promise he has ever made on budgets, on taxes, on reforms. Not only did Rauner cave in on everything he has stood for, by extending the special session he has shown willingness to toss more taxpayer red meat to Madigan and his progressives who have already bankrupted the state. Our only hope at this point is that Madigan asks for so much that Rauner regains his sanity. Given that Powerball, Mega Millions to Halt Illinois Lottery Due to State’s Inability to Pay Winners on June 30, I rate the odds of sanity returning at under 10%. On the off chance that sanity prevails, I once again outline what Illinois needs. Number one on my list of Illinois reforms is bankruptcy legislation. It is the only hope for numerous Illinois cities strapped with impossible-to-pay pension liabilities. As part of any budget package, Rauner must demand municipal bankruptcy legislation. Bankruptcy is the only solution for Illinois that works. The system is simply too broke to fix. Illinois pension plans are going bust. Why is that? Did Illinois not tax enough? For sure, Illinois did not fund the plans, but to fund them, the state would have had to raise taxes even more. For discussion, please see Illinois Too Broke to Fix: Chicago Police Pension Fund Broke by 2021 at the Latest. August 31, 2011: Illinois Loses Most Jobs in Nation Following Tax Hikes. Illinois is F*d up beyond repair and caving into demands from Madigan is exactly the wrong thing to do. Illinois truly deserves Junk status, and tax hikes will not solve the problem. But I would add the following question: what sort of moron is still buying Illinois munis? You get an extra percent or two of yield (for accounting purposes) — but you will take a massive loss when the inevitable happens. Lots of entities have been too big to fail, and plenty of them failed anyway. Some people will lie and claim that large municipalities have “never declared bankruptcy” (which is false, many have), which then gets the retort that “bondholders were always made whole” — which is also false. NYC went bankrupt and they decided only bonds owned by banks would be defaulted on (actually Felix Rohattan decided, and the banks went along figuring they were going to get screwed anyway). Don’t ratings agencies exist so that folks who manage OPM can invest in what they otherwise know is crap because they want fees? I know it matters – but it isn’t like a leading indicator by any stretch of the imagination. Because the munis are backed (by state law) by the full faith and taxing power of the state. And there are record revenues coming into the State of Illinois. Billions coming in…there is not a revenue problem, there is a spending problem. Which means LEGALLY that the state should be paying munis before roads, healthcare, snow removal, schools, state salaries, benefits and public union pensions. If we take the GM bankruptcy as an example, obama destroyed 200 years of contract law so his big donor unions would not get hurt. So the bond holders who should have been FIRST IN LINE, got destroyed. But a contract is a contract and the law is the law. Not when unions and democrats are involved. I am not sure if Illinois has record revenue (as the accounting is rather slimey) — but even if that were true, your bonds are backed by whatever is left over after the liars and theives take what they want. And your word is your bond in the bond business — once you start breaking your word (and Illinois did long ago), your “full faith and credit” isn’t worth anything. I don’t know much about NJ — not saying they are good or bad, just that I don’t know. In CT, the lying pile of sh!t Governor Malloy promised he wasnt going to raise taxes. The legislature (dem controlled, like Malloy) also promised the same. They gave their word to voters. Then they rammed through the two largest tax increases in state history — and they still have a $5 billion deficit even after those massive tax increases. The roads are falling apart, education is a mess, healthcare costs are higher than the national average. And the government of CT broke their word. The full faith and credit of the state of CT isn’t worth a thing because they already proved they will not keep their word. Better yet, what sort of moron still lives in a state like that who absolutely does not have too…..
As an aside to Mish, although I don’t think it’s happening here, progress can include backtracking: if you have three people short of success, and yet those three are completely able to go forward, then success may well involve repeated changes in direction and loss of others, until a way through is found. But like you, I doubt it in this case. Progress is simply another word for another $50 000 party in the case of Illinois, and a continual party in Washington. Wooo Hooo! This is the new paradigm for “Progress” The evidence is all around. Not sure if bankruptcy answers the problem. The Fed will have to step in and guarantee all the savings, pension schemes etc. Then because our whole economy is in decline it forces a realisation no pension fund can be self funding. Taking its funding from consumers’ pockets reduces spendable income in an already strapped state. The federal government can quite simply pay all pensions without costing a dime of taxpayers or workers income. These States, municipalities, pension plans, etc. are trillions in the hole. 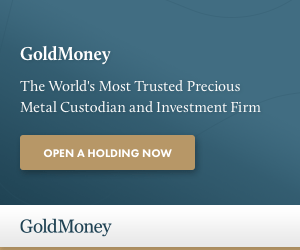 If the federal government bails them out by printing money, which is the only option, the US will have hyperinflation or at a minimum, high inflation and a dollar crash. And the States and munis will keep on spending money they don’t have…..suicide. Why is this the only option? How about we ban public unions, nullify their contracts/pensions and then these near bankrupt cities/states can drastically cut spending? Why? Because public unions are the LARGEST political campaign donors in history. And they give 99.9% to democrats. And as long as democrats have a shred of power – they will do NOTHING except raise taxes and cry for a bailout. Why did Rauner cave in? Is he hoping that a generous budget will get him re-elected? There must be a reason he agreed to the speaker’s terms. Are his kids being held for ransom? Go back and read the thread. It clearly states that Mr. Rauner is governor of Illinois. What further need is there of questions? Illinois makes me think of a ship where there is a very large iceberg. From a long way off the people on the ship can see there is an iceberg ahead, but they stay the course. As the iceberg gets nearer, some people are warning there is danger ahead, and a few start getting in lifeboats, but the crew keeps sailing toward the iceberg, apparently convinced it will melt before the collision. By the time panic sets in and the inevitable is obvious to everyone still on the ship, it is too late to avoid the catastrophe. On the Titanic, the passengers were not much worried even after the collision. When the ship was actually sinking, no one could still deny the problem. There have been people warning that Illinois was on the wrong course for decades. Greece certainly sets the example of how to run a socialist utopia into the ground. Illinois’ creditors will ask the Federal Government to bail out the state. A “team” will be brought in to restructure Illinois’ spending but nothing will really happen except the Federal Government will now be knee deep into Illinois’ debt problems so that “extend and pretend” becomes the rule. I think this was the plan … at least the near term plan … but then Trump won … so I think the whole bailout option is looking grim … and at the rate Dems are spending political capital … yuk yuk … they may not fair well in mid terms or the next presi cycle. Not that our national congress is any better – which is who needs to act to throw these ill managed states under the bus to discipline the others. Thank you Jesus…. I always wanted to drive over Obama with my car, and now it’s going to become a reality… If they ever can afford to fund it. Shouldn’t Madigan change his name to Mad Again! Illinois and Obama were meant for each other. A match made in Jannah. But how will Illinois be able to afford the expressway sign replacements? Maybe convert all public toilets to pay toilets. $0.50 for a #1. $1.00 for a #2. An independent Federal “Office for Budget Responsibility (OBR)” might be useful going forward. In future any State would be able to call back previous fiscally irresponsible leaders to get them in court if they override OBR suggested limits for spending. I say suggested as some wiggle room is no bad thing so long as justifiable in a court of law once the consequences become apparent – hence ability to call back previous leaders if needed years later. In return the leaders get a pay rise as no one would want the job with so much responsibility and future court risk. Running on being popular by overspending would end. States already in over their necks would first go bankrupt before coming under OBR auspices. Will the politicians implement such a thing. You need to look no further than the U.S debt ceiling circus, EU countries (recent bailout of Italian Banks, Greece entry etc.) to see how these slimy guys can dodge being responsible. Basically promise, get elected, pocket what ever you can, promise again and the cycle continues. Prudence and citizens be damned. Have you been to Washington DC? Did you see any evidence of budget responsibility anywhere in that city? You want to put Al Capone in charge of preventing boot legging! Looks like Illinois is the best state for manufacturing with only robots as employees provided the silly idea of Gates (of taxing robots) is not implemented. No wage, no benefits, no pension… what is not to like. Long term democrat rule + public unions + huge free sh*t army = misery, ruin and bankruptcy. Obama could care less about Illinois – he’ll either shelter in DC or go back home to Hawaii – his (purported) place of birth. FUBAR or SNAFU – take your pick. Since Obama himself eschewed Illinois in favour of California perhaps the expressway renaming (does it lead out of state?) is a subtle enough hint of what legislators recommend citizens now do? Pensions in Illinois are toast. The other states will be joining them soon. Corporate pensions are already mostly toast. Negative real interest rates and 2% dividends on the S&P make funding pension plans impossible. Wait till people find out that bankers have also inflated away their 401k plans. I don’t think you can blame Rauner for caving in. The governor’s job is to implement what the legislature wants, not be king. He doesn’t have any real power over these things. If we want to lay blame, how about the voters of Illinois who continuously re-elect a Democratic legislature that obviously has little care for the tax burden? And why do these voters not care about their tax burden? Again, it’s Illinois we’re talking about here, okay? Occam’s Razor tells us these “voters” don’t care because half of them are dead. Another 15% voted illegally. Really, it’s pretty easy to understand. GOP precinct chair Hugh Rodham explained it all to his juvenile daughter Hillary way back in 1960. (yawns and stretches) Somebody must’ve sat down with Gov. Rauner and explained it to him. Voila! Bruce Rauner caves in! Sounds like the Republicans we know so well (like Paul Ryan). As a runner (have run multiple marathons) I could tell you my times down to the minute. And for a PR (personal record)? You damn well know it no matter how many races (or years ago) it was. The speed is so fast that Runner’s World checked his claim — and couldn’t find it. It did locate one marathon he participated in: “Grandma’s Marathon” in Duluth, Minn., on June 23, 1990. He finished in 4 hours, 1 minute and 25 seconds. and have never trusted him since. Not only is he a liar. He’s a stupid liar – which is as low as one can go. Liar’s are almost never amongst the sharpest. Sad thing is, lots and lots of other not-so-bright ones, see the same trappings of success. And, having spent their whole life, wallowing in indoctrination aimed at getting them to uncritically accept the childish nonsense that the ruling class are wealthier and more powerful because they are somehow “smarter,” and hence should be revered and listened to, they then end up doing just that. Never mind it’s all, 100%, pure nonsense. This situation is why my wife and I are leaving Illinois. Its a real shame when people are given the choice of getting trapped where they are or leaving for better economic climes. I lived here my entire life and paid my taxes for all the things that should have been but were not funded. I refuse to pay twice. Good luck to those who remain behind. Let’s assume the state gives municipalities the ability to declare Chapter 9 bankruptcy. The precedent for Chapter 9 is very clear as set in Vallejo, Stockton, San Bernardino and Detroit. Pensioners are kept ~ 100% and bond holders take massive hair cuts. So BK in and of itself will NOT solve the pension problem. The Stockton BK judge made is very clear that pensions could be cut, but the politicians refused to do it. Unlike in personal/business BK’s, the BK judge does NOT have the ability to change individual items in the recovery plan. The BK judge must give a binary yes/no to the entire plan. And guess who makes the plan? The failing municipality. So you think that Chicago politicians, for example, will reduce pensions and bond holder equally? Not a chance. The highest probability outcome in Illinois, Chicago, Chicago Schools, etc is pensions are kept whole and bond holders suffer large losses of principal. All the decision makers who determine the fate of the pension system are in line for huge pensions. They will rule in their own favor. Bond holders will bear the full brunt of the pension blowback. The pensioners will remain whole. This is a very simple forecast based on common sense and recent court rulings that you alluded to. Even Nate Silver would get this one right. As long as bondholders get hammered badly enough, setting a clear precedent to boot, that will make abuses more difficult and expensive in the future. Which, like all things that makes operating a government any relatively larger than Jefferson’s more expensive and difficult, is an undifferentiated good thing. If no government could borrow another dime, for any reason, ever, that would be the ideal situation. Any step in that direction, is a step in the right direction. A corollary is: If everyone who have ever contributed to the growth of any government, ever; whether by accepting supposedly deferred pay in terms of empty promises of pensions, or by lending them money; lose everything they ever had, and everything they ever could have; that is also a good thing. Contributing, however slightly, to making it easier for government to grow, needs to have consequences. The more severe the better. Otherwise, you risk people doing more of it. And that is the greatest tragedy that could possibly befall humanity. Well, that might be what it will be called on maps. I would like to see the demographic of who’s entering and who’s leaving Illinois. My guess is tax paying educated skilled labor plus wealthy and upper middle class elderly are leaving and their mirror image is arriving. If true then things are much worse than net migration numbers suggest. Mish, is it possible to get this data? Is it impossible for the federal government to “investigate” Illinois government “officials”? I’ve thought for a while that this would be a darling side show Trump could exploit in so many ways. A child isn’t so naive that they believe Mad Mike hasn’t gotten dirty as hell over the decades he has ruled the state…the decades governor upon governor ended up in the clink BTW. And with little Lisa providing him cover and “muscle” for daddy from her AG post, there could be so many lines of “inquiries” and investigations that it’s literally an endless spigot of political fodder and potential capital for the Trump team to pursue. Someone said that there are no atheists in fox holes and no libertarians in financial crisis. Rauner is proving that point. I moved to the St Louis area three years ago, and had a decision to make between buying a house in the Illinois suburbs or on the west side of the river in Missouri. Houses are cheaper on Illinois side but propert taxes make up any savings in your monthly payment. I chose to avoid Illinois due to their broken political system. Now I am relocating and have a choice to make between Chicago and Denver. Despite Chicago being much closer to family, and having no connections outside of work in Colorado, I choose Denver. It wasn’t even a question despite th the sadness of moving farther away from family. Does the Chicago/Springfield machine really think that I’m an outlier? I suggest starting a progressive move now. Buy a duplex there, and hire a rental manager to rent out and manage one of the units. Set up the other for yourselves. Then buy a small piece of land nearby, and start working your way out. That way, if everything false apart Way-Too-Fast (the way things do), you’re not caught in the rush. That sort of newspeakian nonsense is, literally, what progressive idiots genuinely believe is useful work. Never having built a highway, heck never having built anything, nor, for simple lack of ability, done anything even remotely hard; they believe that what they sit around and “say” to each other, in their privileged little playpen consisting 100% of no more than other equally imbecile, clueless, useless and utterly expendable nobodies; has some sort of meaningful effect in the real world. Utter garbage, each and every 84 of them. I-55 will no longer bear the namesake Adlai Stevenson?